Finished custom semi precious gemstone projects are manufactured to your specifications. We offer highly competitive pricing with no wastage and door to door delivery. Gemstones display an almost limitless variety in their beauty. They are as diverse as brilliant green striated Malachite to the sparkling iridescence of Labradorite crystals. They are breathtaking when backlit. Gemstones inspire our admiration and fascination. They are God's work of art. Semi precious gemstones are desirable for their beauty, valuable in their rarity, and durable enough to be enjoyed for generations. Gemstones are among the most individual of nature's creations. No two are alike. They have been treasured since antiquity and have been worn for adornment for thousands of years. Gemstones, a treasure from the past...make them yours today. We invite you to join us in our celebration of beauty. At Agape Tile you may select from our variety of over 30 semi precious gemstones to choose from. Our online prices are at wholesale. We also offer both showroom and low wholesale pricing to those in the trade. 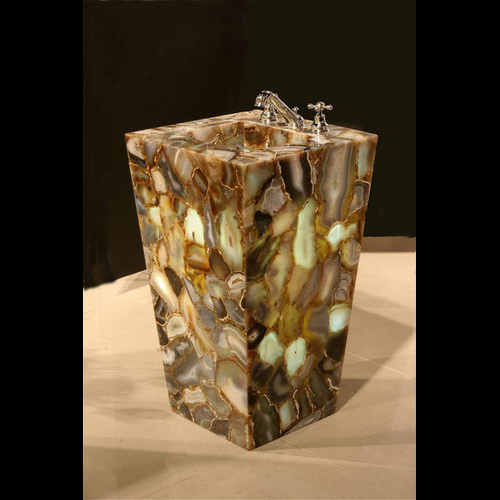 We specialize in custom design, custom shapes and material combinations: Countertops, Vanity Tops, Tabletops, Panels for partitions and ceiling suspension, Backsplashes, Baseboards, Medallions, Murals, Lamps, Sinks and Pedestals, just to name a few. 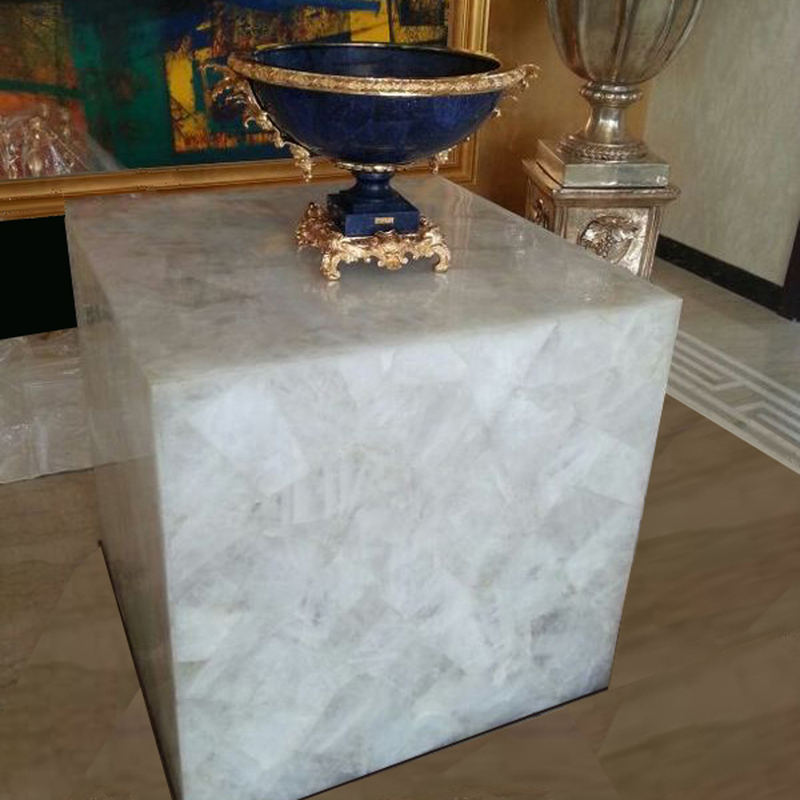 All gemstone is either overlaid on a solid or honeycomb aluminum base or solid material set into epoxy. Transparent, solid semi precious gemstone set in epoxy may be backlit. 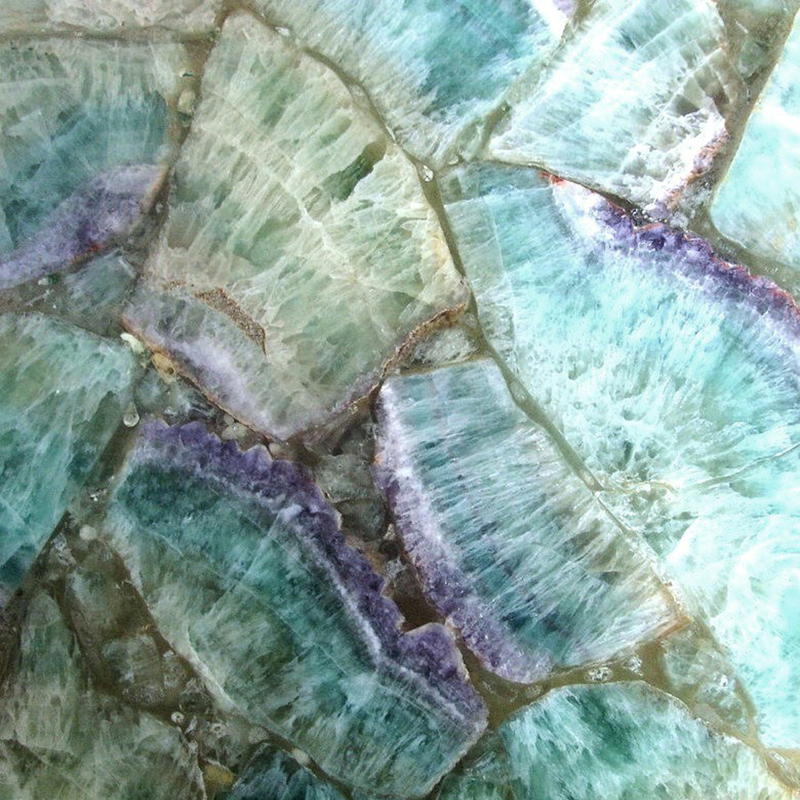 Semi precious gemstones are suitable for residential and commercial, interior or exterior walls and floors and aquatic installations, including swimming pools and spas. 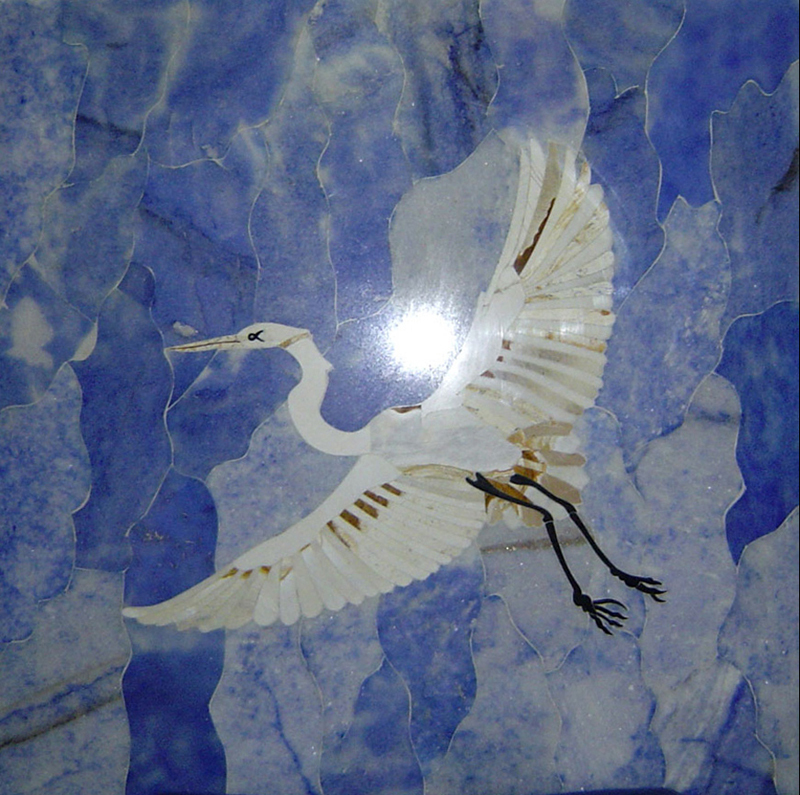 Techniques used are overlay, inlay, epoxy forming, uncut and hand cut mosaic, carving and shaping of solid gemstone material. Quality is inherent in the semi-precious stones that we offer. Our stones are imported from the best mines in the world. We are pleased to say that we handle projects from one square foot to an entire building. Our manufacturing time for custom work is very short: typically two weeks for small projects to three to four weeks for larger ones, sans shipping time. Of course, we recommend that you order as far in advance as possible. For all large commercial projects or custom artwork, please call us well ahead of your desired installation date. 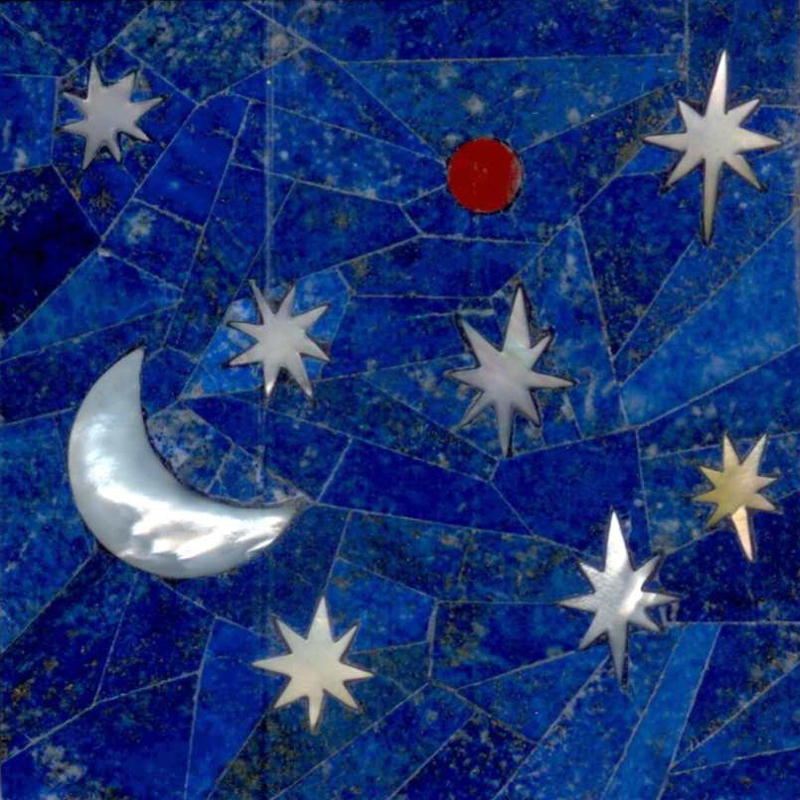 The Principals of Agape Tile have been involved in creating gemstone projects since 1991, and have been responsible for the artistic design and creation of semi precious gemstone projects within the continental United States, Hawaii, the Caribbean, The Kingdom of Saudi Arabia and the United Arab Emirates: Dubai and Abu Dhabi. Our expertise makes us uniquely qualified to provide ​highly specialized advice and artistic design services. We put our twenty five plus years of experience in the field of hard surface material creation, design and installation to work for our clients.